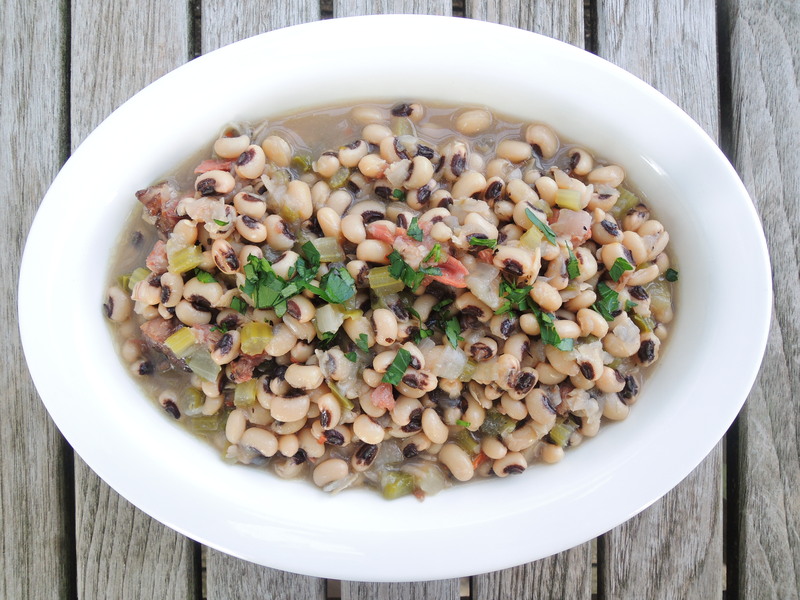 One cup of dried beans provides about 3 cups cooked. 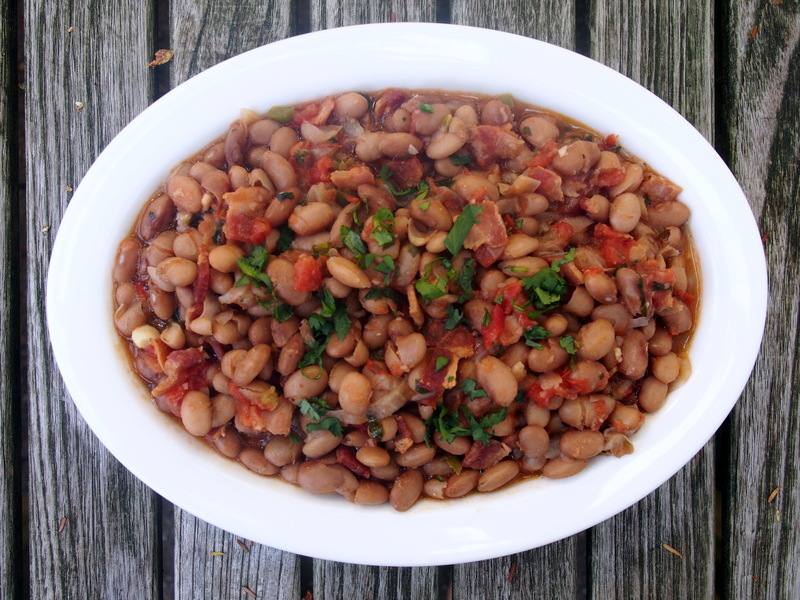 If you don’t have time to make dried beans from scratch, canned beans may be substituted in the recipes that follow (but their texture will be softer and they won’t taste as good….). Empty cans into a strainer and rinse thoroughly under cold water to remove canning preservatives before proceeding and, after you add the beans, cook just long enough to warm them through, about 5 minutes, because canned beans become mush quickly. Pick over dried beans carefully before you cook them. Small stones or chunks of mud have a way of working themselves into bean packaging – they can be tooth-breakers, so this step is important. Open the bean package and pour a small amount of beans into your palm. Inspect them for foreign material and then drop them into a strainer. Repeat the procedure until all the beans have been inspected and deposited into the strainer, then rinse them well under cold water. 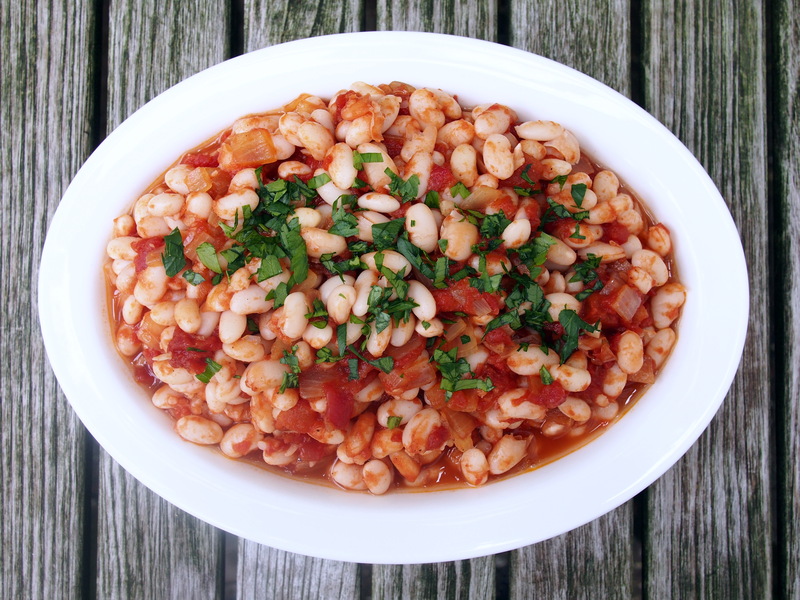 The big culinary controversy about cooking beans is whether or not to soak them. 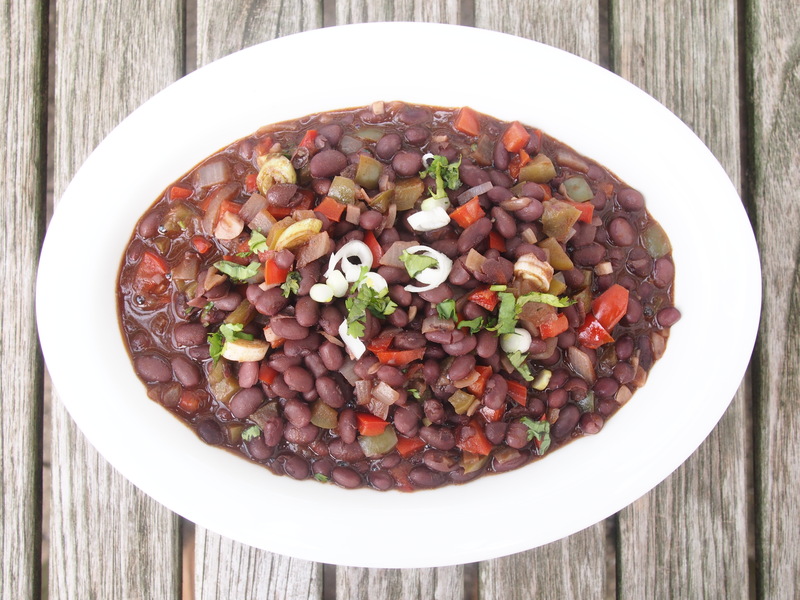 Some, like Mexican cooking authority Diana Kennedy, argue that soaking adversely affects the taste and texture of beans. Others reply that beans are called musical fruit for good reason. The, ahem, bottom line is that beans contain elements that some people find hard to digest, resulting in flatulence. Soaking reduces the likelihood that you, or your guests, will experience this problem. Either place the beans in a bowl with water to cover them by 2 inches and let them soak overnight, or “quick soak” them. Bring 5 quarts of water to a rapid boil in a large bean pot or saucepan, add a pound of beans, and cook them for exactly 2 minutes after the water returns to a boil. Turn off the heat and allow the beans to soak, covered, for exactly one hour, then drain. Rinse under cold water and, if you are not going to proceed immediately, leave beans in cold water to cover until you are ready to use them. 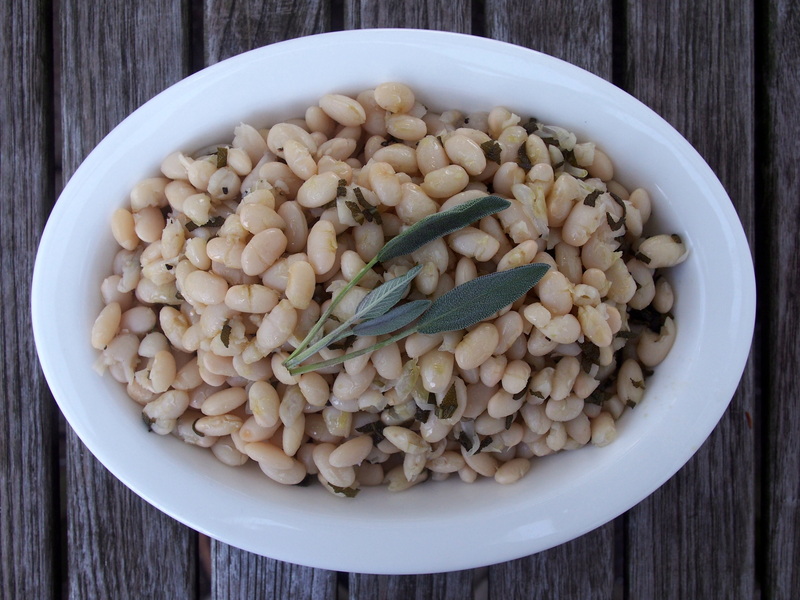 Don’t salt beans until they are cooked and tender. I don’t understand the chemistry involved, but virtually every expert reports that the skins of beans salted early remain tough despite cooking, and my sad experience confirms their advice. 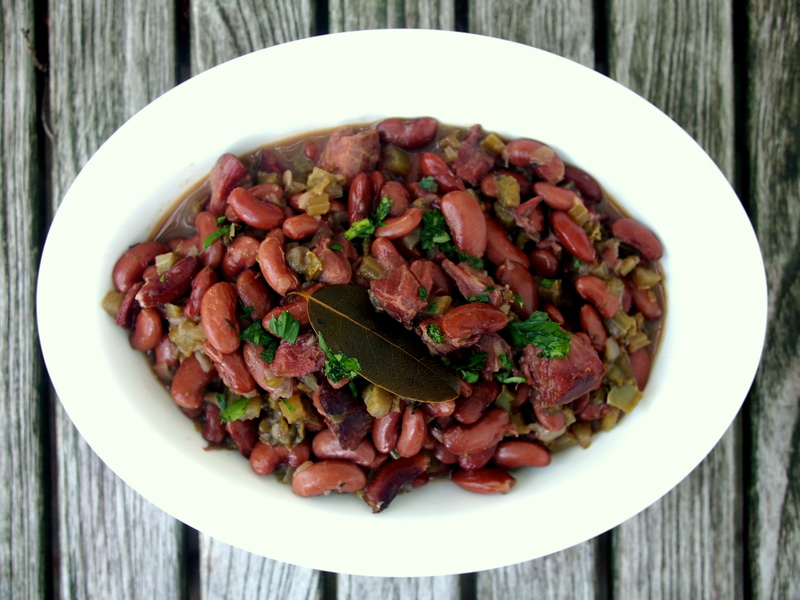 Dried beans universally taste better if they’re made a day or two ahead of serving. Allow them to cool completely in their cooking liquid, then cover and refrigerate them, (undrained) until you are ready to use them. When you are ready to proceed, allow them to come to room temperature, then heat them (still in their cooking liquid) over a low flame. Once they are warm, drain them and finish the recipe. Finally there are those, like Diana Kennedy, who believe that beans should always be cooked in an earthenware pot. While I have cooked beans successfully in many kinds of pots, earthenware works nicely because it maintains a low temperature over a long period without burning.